If you teach your toddler to do puzzles, you will be doing much more than just a fun activity with your child. 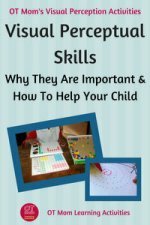 You will be developing vital visual perceptual skills that will help prepare your child for school! Sometimes, however, it can be confusing to know where to start with all the educational toys on the market. 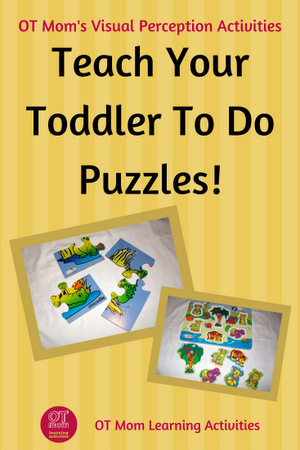 The steps below will help you introduce your toddler to the joys of doing puzzles and will show you which resources are most helpful. Most importantly, have fun with your child! For toddlers who have no idea what building a puzzle is about, or for children from deprived backgrounds, you often need to first introduce them to the concept of fitting things together. 1 piece puzzles are a good introduction to this concept. Making use of a shape sorter will also help your toddler learn to perceive and match shapes as well as the concept of fitting things together. If your child is overwhelmed by all the shapes, place just a few shapes at a time and make it "easy" for your child! Wooden Peg Puzzles are also excellent. Start by showing just one piece at a time, placing it next to the correct hole and helping your toddler place it in. Start with just one piece at a time, next to the correct hole, to introduce the concept. Putting the shapes next to the holes initially can help a toddler gain confidence with this activity. Once your child understands how peg puzzles work, the next step is introducing the concept of completing a picture. Simple 2 piece puzzles are a great way to begin to teach your toddler to do puzzles. In front of your toddler, show how a picture is completed by fitting pieces together. You can even use pictures out of catalogs and then cut them into two pieces - you don't need to have expensive puzzles to show this concept! Have your child complete a variety of 2 piece puzzles, then move on to 4 pieces. Perhaps you and your friends can each buy a different set and take turns sharing them for variety? i know a mom who pasted pictured from magazines on the back of her existing set of two-piece puzzles, to make a whole new set of pictures! Toddler puzzles often come in sets with a 4 piece, a 6 piece, and a 9 or 12 piece in one box. Mastering one 4 piece puzzle does not mean your child will be ready to tackle the 6 and 12 piece puzzles (though some kids learn quickly). It is better to try a few different 4 piece puzzles to teach your toddler to do puzzles, before moving on to puzzles that are more challenging. The steps below are not meant to be done all in one sitting! 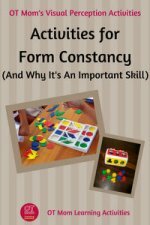 Your toddler's temperament, visual perceptual abilities and concentration will determine how quickly this skill will be mastered. Progress at your child's pace and keep it fun! Build the puzzle in front of your child and show your child how the puzzle makes a picture when completed. Take away one piece, and then ask your toddler to fit that piece back in to complete the picture. Repeat with a different piece. Upgrade to taking away 2 pieces. Repeat this step often, by taking away 2 pieces from different places each time. Once your child can place 2 missing pieces correctly, break the puzzle up in front of your child, keeping pieces correctly orientated, and ask your child to build the puzzle. Once your child has mastered this, mix the pieces up completely so your child has to orientate them as well as place them. This may take some time to learn! Give lots of praise and encouragement each step of the way, and remember, you do NOT have to accomplish all of the steps above in one day or even one week. Once your child has mastered 4 -piece puzzles in the way described above, introduce puzzles with more pieces. 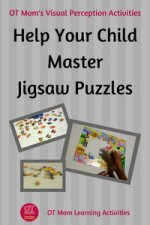 Pop over to see my guidelines to help you teach your child harder puzzles. Swapping puzzles with friends is a good way to get access to different puzzles to keep your child interested! I used to leave peg puzzles lying all over the house for my toddler, with the pieces close to the correct hole, so all he had to do was slide them in. He soon grasped the concept! Don't rush your child onto the larger puzzles - leave a partially completed one lying out and let your child gain confidence in completing it. You may want to visit these other pages on my site. 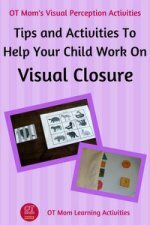 They give activities to help build different visual perceptual skills - you can actually help teach your toddler to do puzzles by strengthening these other visual skills! Thank you for visiting my site! 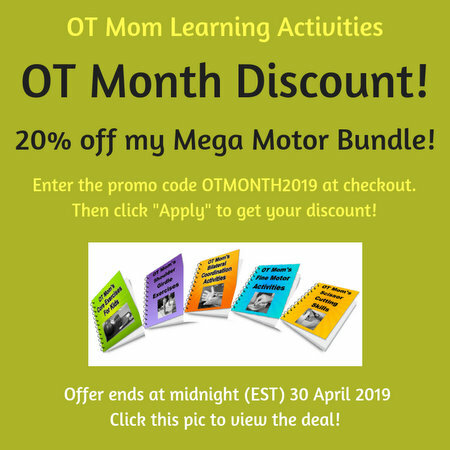 I truly hope you found it useful and that you now feel empowered to teach your toddler to do puzzles!